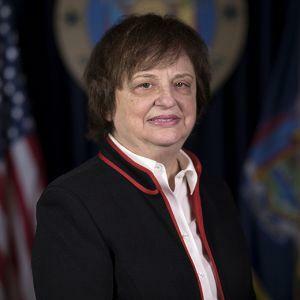 New York’s attorney general Barbara D. Underwood blasted cryptocurrency exchanges in a statement published on the website of the attorney general’s office on Tuesday, saying that exchanges lack procedures to ensure “the fairness, integrity, and security” of the platforms. Attorney general Underwood further added that “New Yorkers deserve basic transparency and accountability when they invest – whether on the New York Stock Exchange or on a cryptocurrency platform.” She added that suspicious and manipulative trading activity goes unpunished and often undetected on the exchanges. 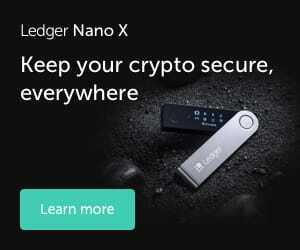 The Winklevoss twins’ Gemini Exchange, however, was identified as one exchange that had taken this seriously, partnering with Nasdaq to employ “more sophisticated market surveillance tools” that would detect fraudulent trading activity. The harsh statement from the attorney general’s office comes after she began asking crypto exchanges for various information regarding their operations and security controls back in April this year. 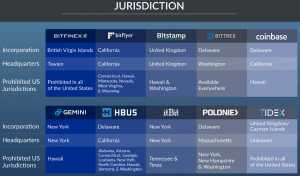 A total of 13 exchanges were asked, out of which four said they don’t allow trading for New York-based users, and therefore declined to provide any information. Another finding from the questions sent out by the AG’s office is that many crypto exchanges engage in so-called proprietary trading, or “prop trading,” meaning they trade on their own exchange with the company’s own capital. In the case of Coinbase, one of the best-regulated exchanges operating today, for example, proprietary trading by the exchange amounted to nearly 20% of the total trading volume on the exchange, the AGs report stated. 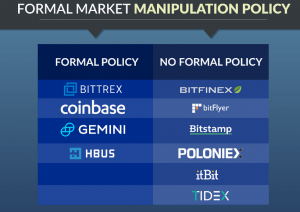 In a blog post published on Wednesday, Mike Lempres, chief policy officer at Coinbase, refutes reports that the exchange engages in a significant amount of proprietary trading. “The volume figure stated in the report has been misreported in the media as “self-trading,” which is inaccurate. The figure represents customer-driven volume via Coinbase Consumer. Coinbase does not operate a proprietary trading desk, nor does it undertake market making actions,” Lempres wrote. 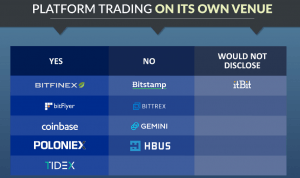 Most exchanges claim they engage in trading on their own venue to improve liquidity on their marketplace, which in itself is a good thing for all market participants. The problem, however, occurs if such a big portion of the trading volume suddenly disappears, particularly during times of market volatility. In such a scenario, smaller private traders could be left holding the bag, unable to offload their holdings since there are fewer buyers in the market to sell to.